The GNOME community is proud to present GNOME 3.8. This new release features numerous new features as well as a host of smaller enhancements. 3.8 is the result of 6 months of work by the GNOME Project and contains 35936 contributions by approximately 960 people. We think that it is the best version of GNOME to date. Here are some of the improvements that can be found in the new release. GNOME 3.8 introduces a new application launching view. The Frequent tab includes your most commonly used applications, which means that you don't have to spend time looking for the things you use most often. The All tab shows all your applications and also includes application folders, which contain several groups of applications. This makes it easier for you to browse your applications. Searching from the Activities Overview has been revamped with a new search results view, as well as new search settings. Together, these allow any application to present search results, making Activities Overview search a more powerful way to access the content that is provided by your applications. The new search settings provide control over which applications present search results as well as their order in the results list. 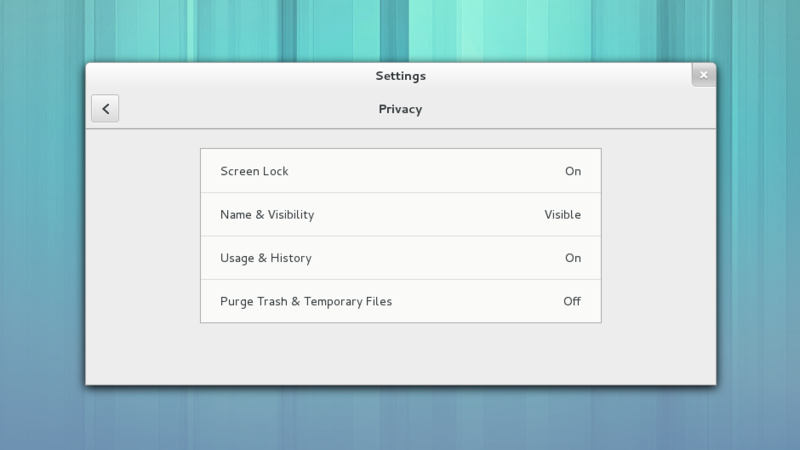 As a part of GNOME's ongoing commitment to protecting our user's privacy, 3.8 includes a range of new privacy and sharing settings. These allow you to control who has access to the content on your computer, how much personal information is displayed on the screen and whether features that track your activity should be enabled. 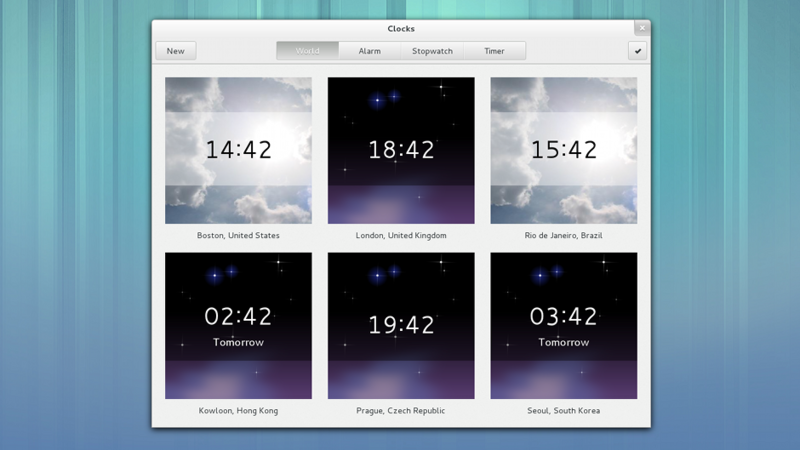 The latest GNOME release introduces a new core application, called Clocks. This handy utility was first previewed in 3.6, and has subsequently matured into a member of the default GNOME application set. It includes a number of useful features, including clocks for different world times, alarms, a stopwatch and a timer. GNOME 3.8 features a significant technological breakthrough in the way that animated graphics are rendered. By improving the coordination between the components responsible for displaying animated graphics, far greater efficiency and performance has been achieved. The result of this work is smooth and robust visual transitions and window resizing. Smoother video playback will also be found under some conditions. GNOME 3.8 includes a huge number of smaller bug fixes and enhancements. Many details have been addressed to give a more polished experience, including new animated transitions, improved visuals and usability fixes. Many of these improvements were made as a part of the Every Detail Matters initiative, which fixed nearly 60 bugs during the 3.8 development cycle. 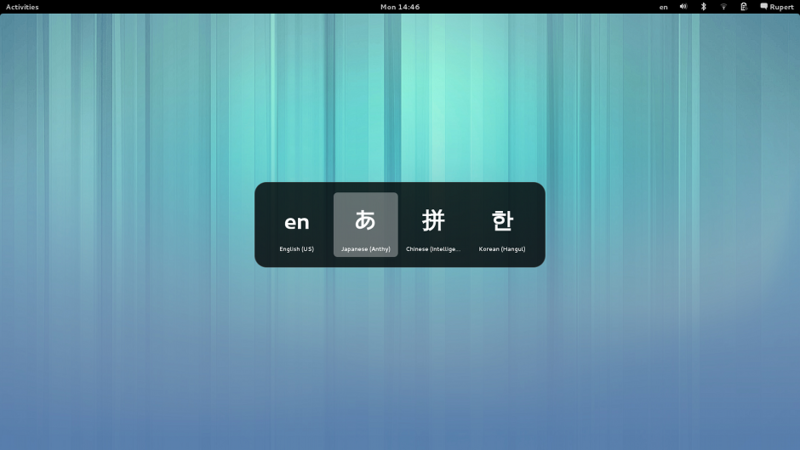 Integrated input methods were introduced for the first time in the previous release, GNOME 3.6. They have been the subject of a great deal of work since then, with new features being added as well as bug fixes. These include a new on screen display for input method switching, new candidate character popups, new Region & Language settings, and the inclusion of all input method engines in the input method menu. GNOME's software is Free Software: all our code is available for download and can be freely modified and redistributed. To install it, we recommend that you wait for the official packages provided by your vendor or distribution. Popular distributions will make GNOME 3.8 available very soon, and some already have development versions that include the new GNOME release.